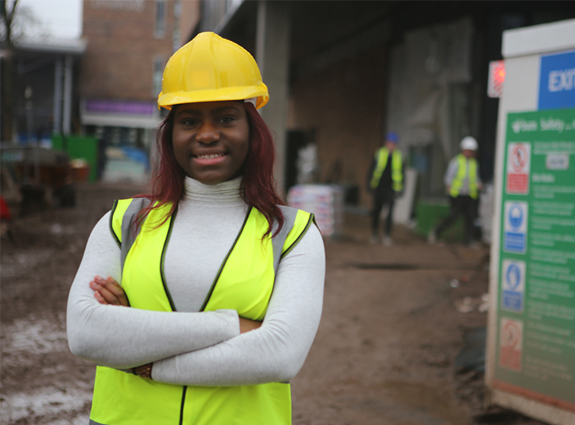 On International Women’s Day, who better for UnCOVered to chat to than Cov Uni’s own award-winning student Damilola, who is smashing more than gender stereotypes! Q. So what happens when you win the Ada Lovelace Scholarship? 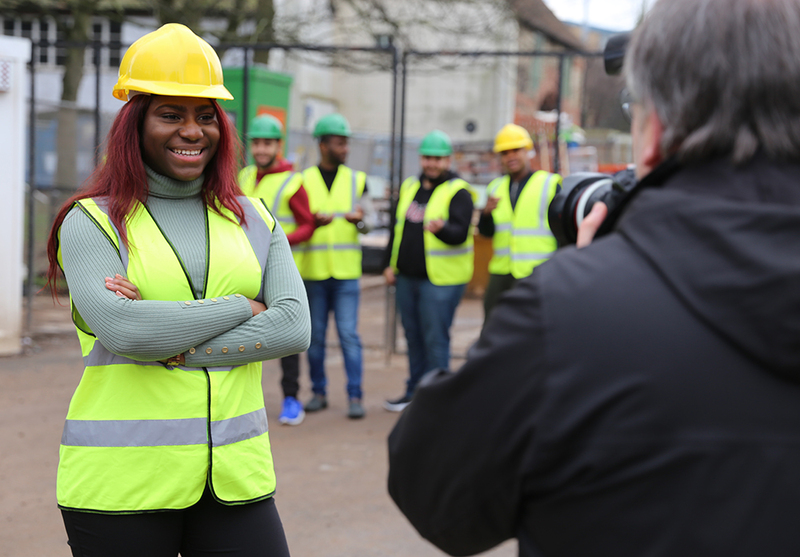 After winning the scholarship, a lot of opportunities were presented to me to voice awareness of the limited number women in the construction industry. So far, I have taken part in two radio interviews, featured on the University website and in a range of newsletter articles. 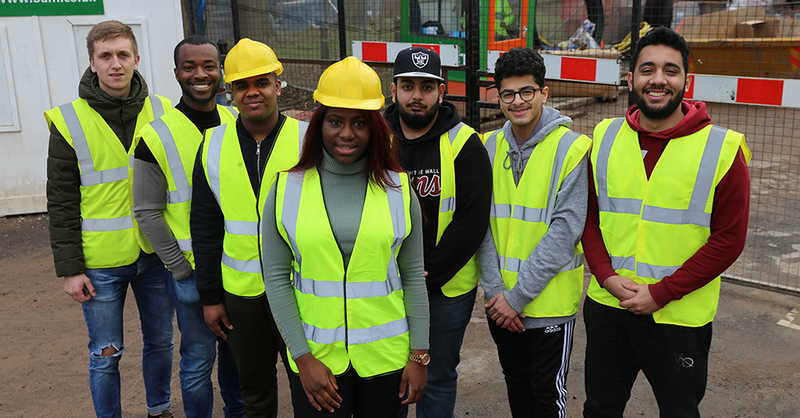 Honestly, I never expected any of this to occur, however, I am more than grateful to be given this amazing opportunity to inspire other women who are looking to get into the construction industry. This will give other women the opportunity to overcome the fearful stereotype and stigma that they encounter in the industry. Q: What drew you to want to study Construction? 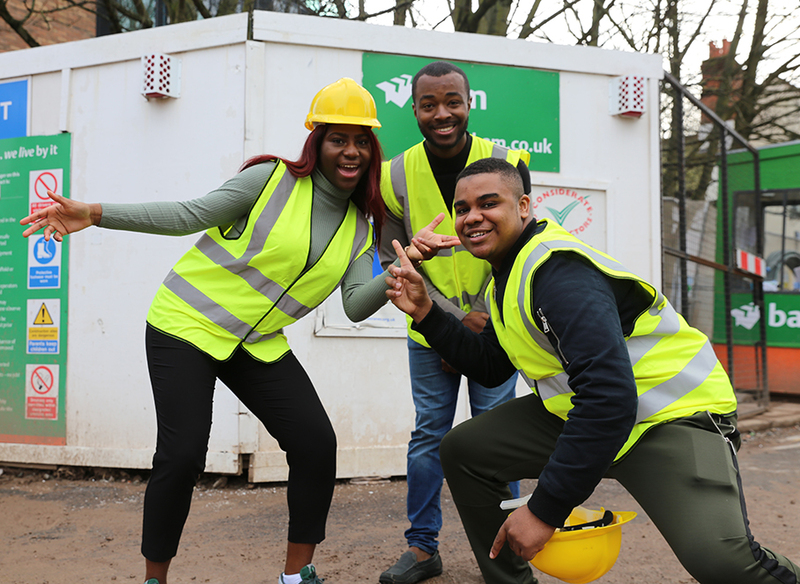 The idea of being different and standing out in the crowd is what really drew my attention to wanting to study Construction Management. Also, the course seemed very practical and hands-on which is what I picture myself spending time enjoying in the future. Q: What would you say to girls and women who may think the more science-based subjects at uni aren’t for them? I would advise them to give it a try before making any final judgement. This is because there are many science-based subjects out there, even some that most people don’t know about, like my course for example. So I would tell them to do some research, look into different courses even though the name of the course may sound daunting, and just be open minded really. Q: What is the best thing about your course? The best thing about my course is the variation of the modules taught. One minute you’re building something on computer software, then another minute you’re learning about how to survey land and the components of a building. Literally, the course has so many aspects in it that you’re bound to find an aspect you like and enjoy studying. Q. What do you like about studying in Coventry? What opportunities have you had while studying here? I like the fact I have the opportunity to use the library any time of the day as it is open for 24 hours. Also, I have been given the amazing opportunity to apply for the scholarship and influence other women, which is more than I could have asked for! Q: What do you hope to do after your degree? At the moment I do not have a set plan of what I want to do in the future. Wherever God takes me is where I would go to be fair. Although, I am on the lookout for any work experience/internships out there, so I can gain the necessary experience and insight into the specific sector I want to get into. Also, the fact that the degree is so varied and flexible means there are many opportunities available to me after I finish. So, like my Mum says, “the world is my oyster”. Q: What would your general message to young women be when it comes to education? Education is something everyone should aspire to get into. A lot of people around the world do not have the opportunity to have an education, so the fact that we are given this great opportunity should be enough to motivate anyone to go ahead with it. In addition, there are so many forms of education out there. From fashion to engineering – there are so many doors out there, so it’s up to everyone to do their research and choose which door they want to open. If you have a dream subject you’d like to pursue, check out our faculties and schools pages, where you can rummage around to your heart’s content and find a course that will shape your life! #Trending, Guest Blogs, Inspired, International, Interviews, Join Us, plus, Real stories, Student Life, Student Wins, Undergrad, Why Cov Uni? ← Go Green Week is Back and Bigger Than Ever!